As winter begins to settle over a little village in the South of France, a young ladybug cozies his way into a warm chestnut factory. Before he knows what’s happening, he gets accidentally trapped in a shipment heading for the Caribbean island of Guadeloupe. His loving and quick-acting parent soon figures out his offspring’s tropical destination and sets off on a heroic overseas rescue journey to save the little guy. Things get complicated for the intrepid dad, however, when he finds out that the journey’s end on the pristine isle, home to Caribbean ladybugs, is about to become a bulldozed construction site. A friend from back home, the black ant, boldly comes to the rescue in this part-animated, part-live action, eye-popping insect odyssey lacking human dialogue but brimming with heart. 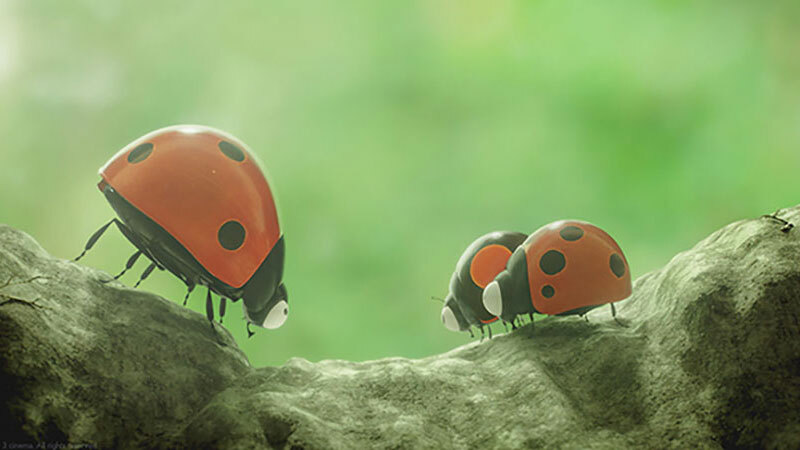 Minuscule – Mandibles from Far Away is a dazzling and funny adventure story that’s one of the finest and most entertaining family films to hit these shores in years.